Masking is one of my favorite stamping techniques for cardmaking. It’s a simple way to create a dimensional look and feel, without having to layer and collage fussy cut images. 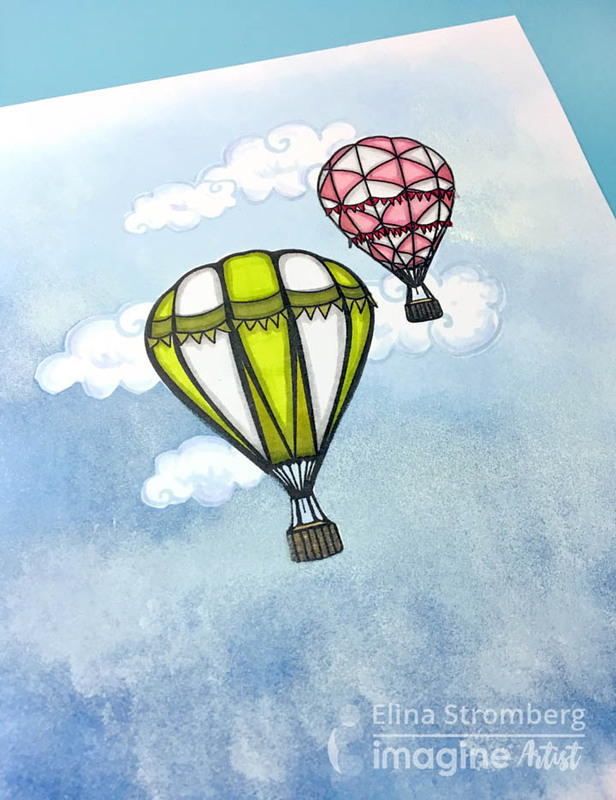 For this technique you don’t need any special supplies; a stamp set, stamping ink, a few sticky notes, and your scissors will be enough! 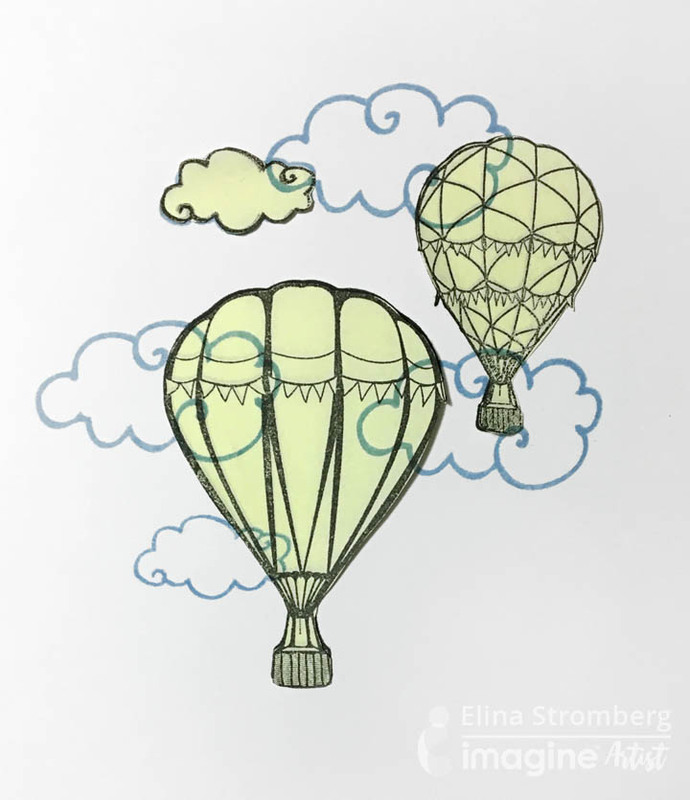 Stamp the hot air balloon and clouds on sticky note pages. If the sticky part is only on a portion of the page, make sure to place your stamping close to the paper’s sticky border. Cut out the images. Stamp the images you want to appear in front on your cardstock and place the fussy cut mask on top, then stamp the second layer. 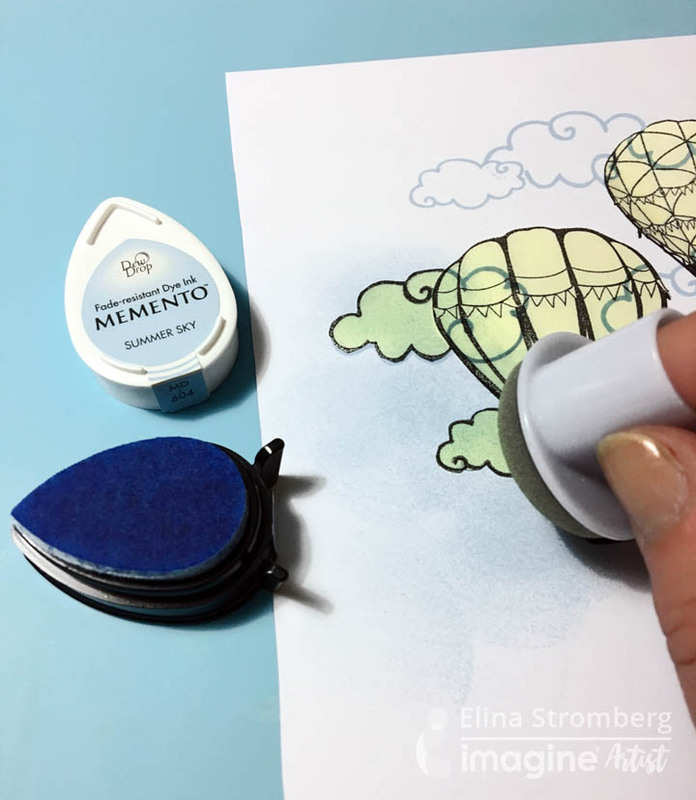 Use Memento in Tuxedo Black for stamping hot air balloons, and Memento in Summer Sky for the clouds. Leave the masks in place. 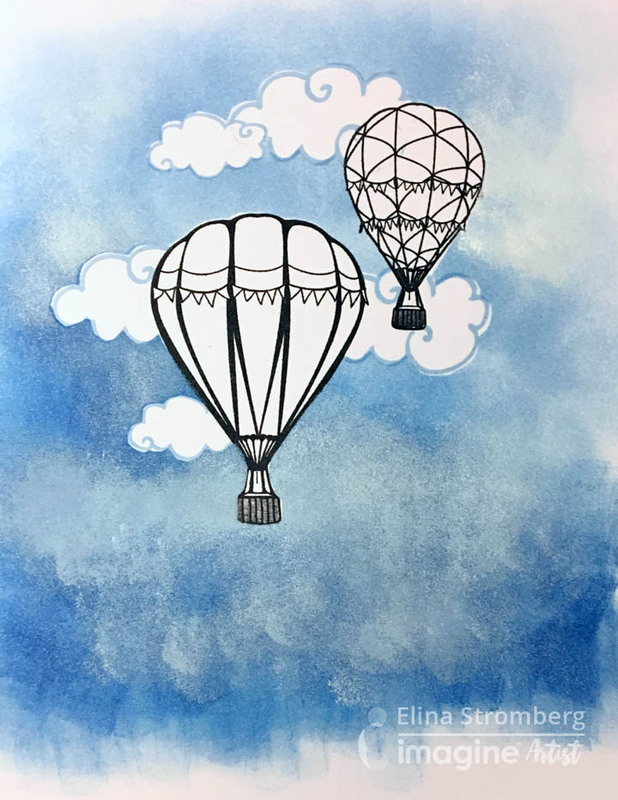 Color the background using two shades of Memento, Summer Sky and Danube Blue, and a jumbo dauber. Sponge on a hint of white acrylic paint on the inked surface. Remove masks. Color the front mages with alcohol markers. Stamp sentiment text and the flying birds with black StazOn. Die-cut a tree-line from dark blue cardstock. Glue it on the bottom of the card. Trim card to size, mat on a piece of dark blue cardstock. Attach to white card base using double-sided tape. 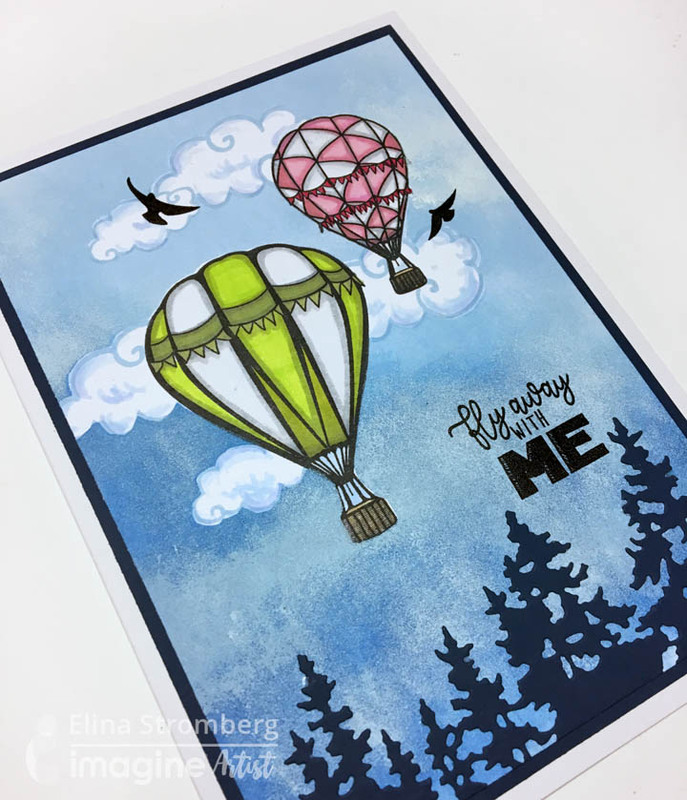 This entry was posted in 2018 ARTIST IN RESIDENCE, Beginner, Cards, DIFFICULTY LEVEL, DIY, Elina Stromberg, INSPIRATION, PROJECTS, Techniques and tagged cardmaking, Cards, Die Cutting, DIY, DIY Inspiration, Handmade, INSPIRATION, Memento, StazOn. Bookmark the permalink.